Desserts for Breakfast: Boysenberry and Plum Cobbler, for which I wax poetic. 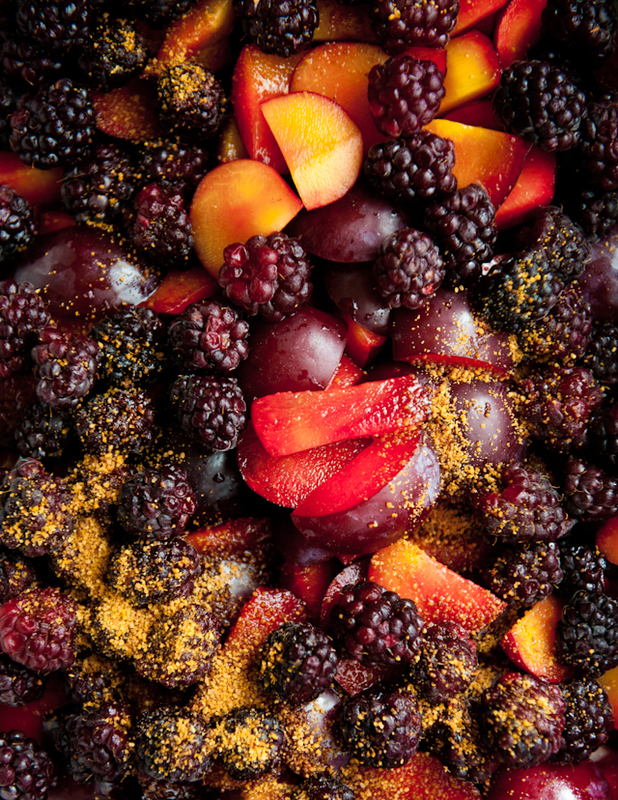 Boysenberry and Plum Cobbler, for which I wax poetic. I often lament that the romance of the leisurely reading of poetry is lost in this current era: too few people, myself included, will curl up and unwind with a book of poetry as we might with the latest trashy novel. And those who do crack open poetry every now and then for "fun" reading are regarded by the general population as some sort of horrible combination of pricks, snobs, posers, or just really weird old cat ladies. Where are the days (maybe they were fictional to begin with) when reading out-loud a passage of completely engaging poetry was a commonplace feature of conversations and general "hanging out"? Why is it that I now have to enjoy poetry alone, in secret, with no one to share a particularly funny or well-written or beautiful line with? Take my most recent adoration of Robert Hass's poetry, for example. Hass is a well-respected poet of our current time, and he is a professor in the same department from which I received one of my undergraduate degrees five years ago. Regrettably though, while I was still at Berkeley, I never took a course with him, and even more regrettably, (despite the fact that I study language in poetry) I'd never even read a single one of his poems until years after I'd moved to another university. It wasn't until Saveur printed a poem by Hass that I first encountered his work, and from that first poem, I was instantly hooked. ...and such perfect words they are. --from Robert Hass's "The Beginning of September"
1. Preheat oven to 450° F.
2. Quarter and pit the plums, resulting in about 2 lb of plum flesh. 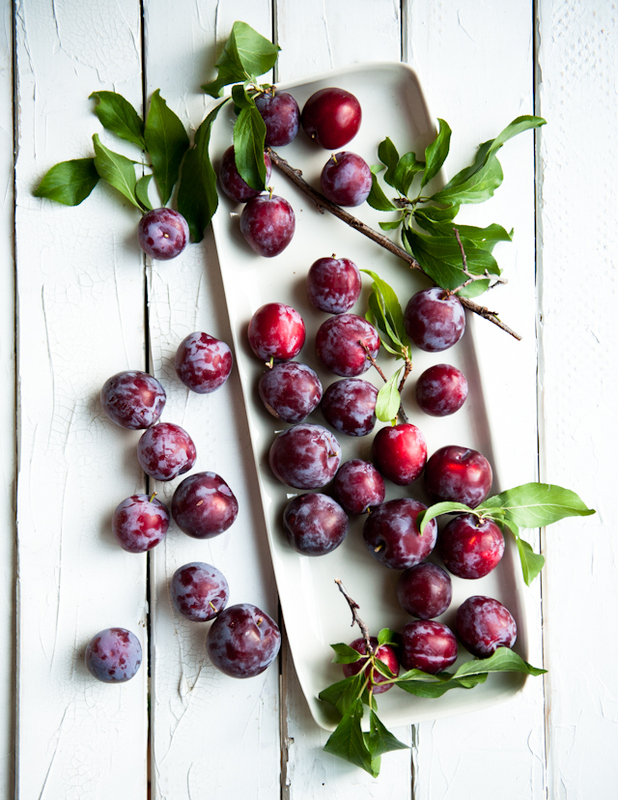 Combine the plums in a bowl with the boysenberries. Toss with the coconut sugar and 2 Tbspn of all-purpose flour. 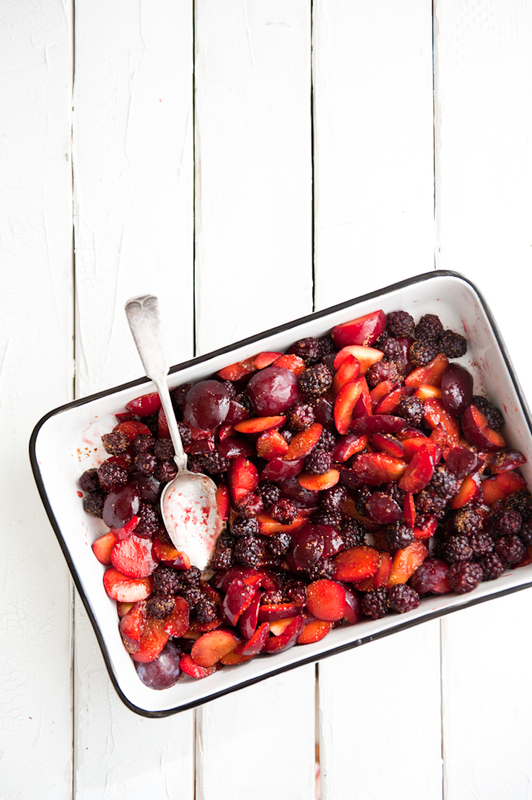 Spread the fruit in the bottom of one 9 x 13-inch baking dish. 3. In another bowl, whisk together the remaining 1¾ cup (230 g) of flour, baking powder, and salt. In a separate bowl, whisk together the cream and crème fraîche. Gently fold the cream into the flour mixture, being careful not to overmix. When incorporated, gently fold in the milk in three additions, resulting in a sticky mess rather than a uniform dough. Gently form the dough into a loose ball. Break off large hunks of dough and place on top of the prepared fruit in the baking dish. Brush the tops of the scone dough with heavy cream. 4. 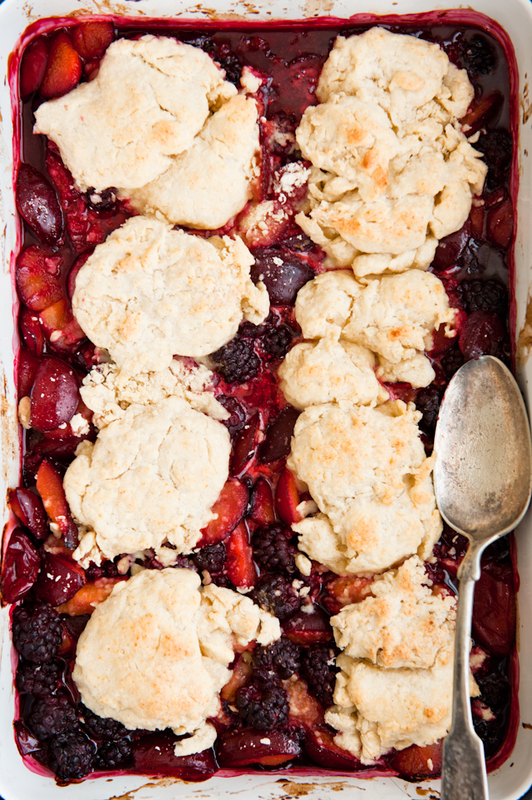 Bake for 15 to 20 minutes, until the fruit is bubbling and the cobbler is golden on top. Remove from the oven and let cool briefly before serving. Serve warm, with a dash of cream or a scoop of ice cream, if desired. This is one fancy cobbler! I love it! I'm in love with the first two photos in this post. The ones of the cobbler are gorgeous too, but the light in those ones is just beautiful. 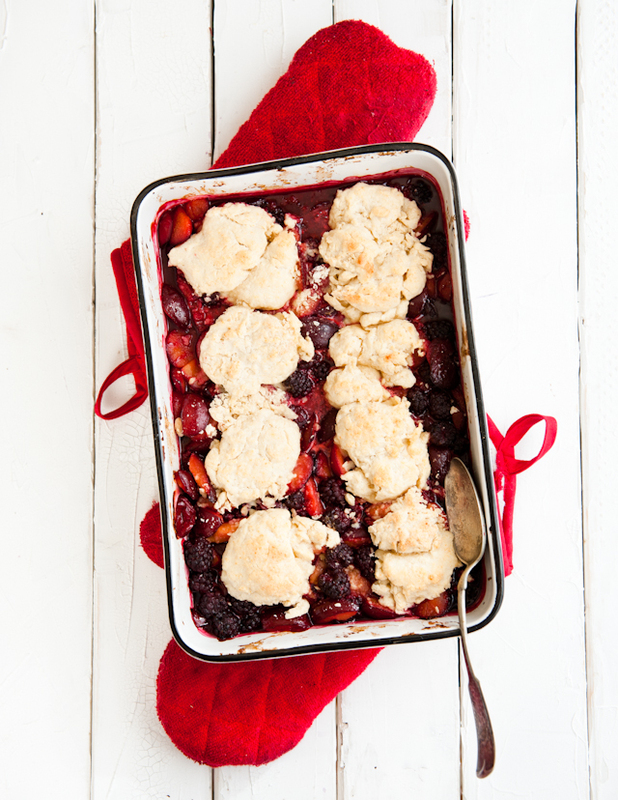 Love a good cobbler - always said it's an easier pie without the huge fuss of a pie crust! gorgeous! This is the prettiest cobbler I have seen. I love all the bright colors. Looks delicious! Can you suggest something to replace the coconut sugar if I don't find any? Your writing is so lovely, and just blends with the photos beautifully. Poetry is definitely an under-appreciated art these days, but I love that you're holding onto it. That first poem was perfection, and I will have to look into more Robert Hass. Thanks! A beautiful post and recipe, it looks extremely delicious! Oh! I love poetry! And I love reading it out loud. :) I have two friends in particular who will read poetry with me, so I consider myself pretty lucky. And as a food lover and Bay Area local, I'm eager to check out Robert Hass's poetry. 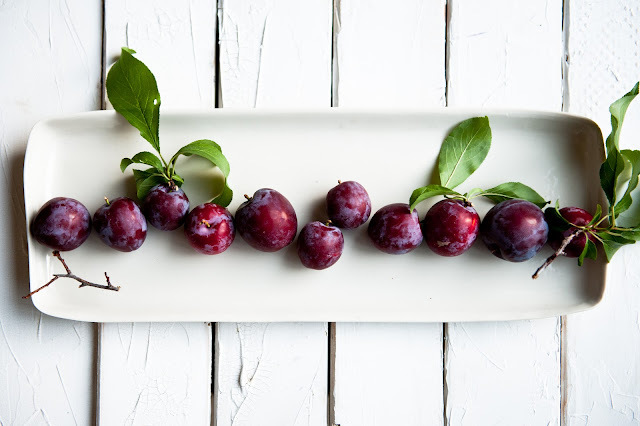 Your photos are stunning as always and inspire me to do some baking with all the beautiful summer fruits that are in season. One of the greatest moments when I was on holiday in Italy a few years ago was visiting the home of John Keats. Oh yes, right next door is the Spanish Steps, and nearby is the greatest shopping street in the known world, but to me that pokey little museum is an equal treasure. I can imagine him standing at the window of the terrace house when I read 'Ode to Psyche'. 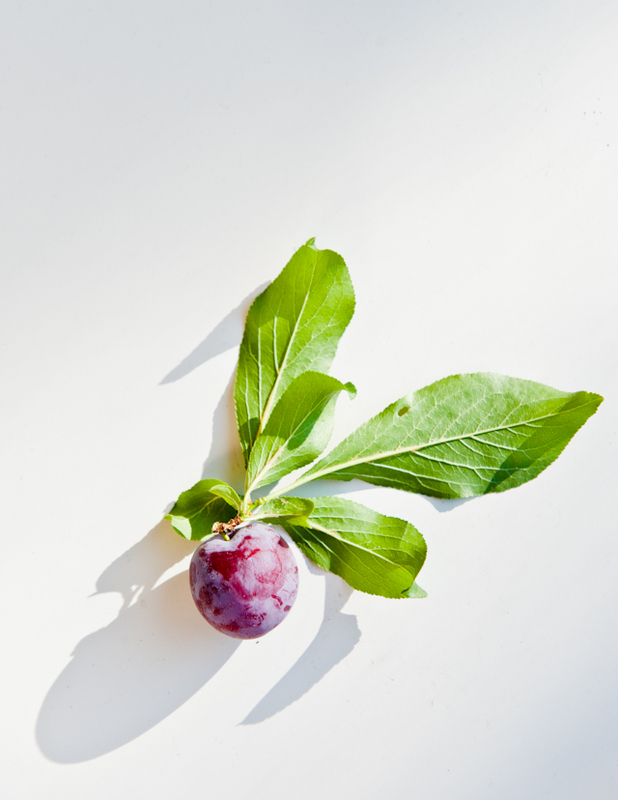 Writers of good poetry entice our palates just as surely as the cook of a wonderful meal. I love the mood that your photos create, Absolutely refreshing and gorgeous! This is gorgeous. So simple, a still life really. This dish is so rustic and inviting. 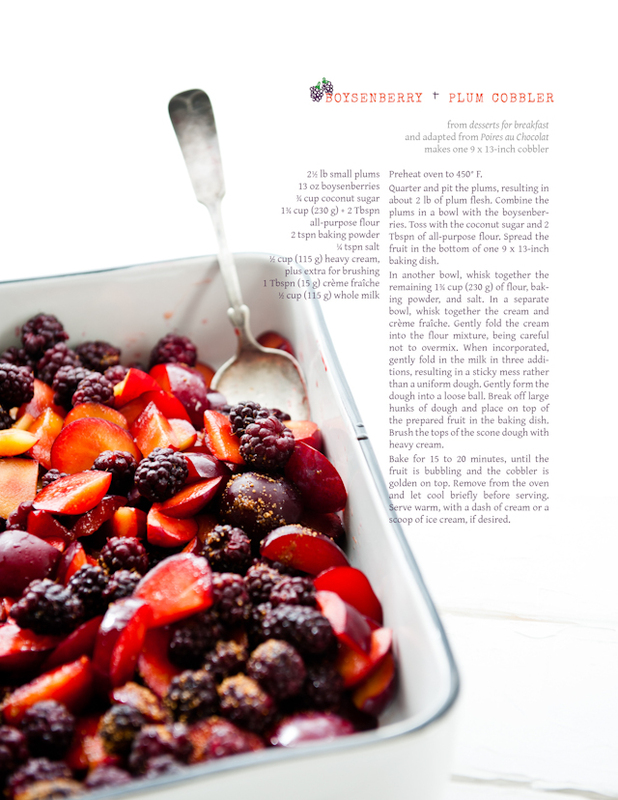 Love the light in the photo with the recipe especially! Oh yummo--the poetry made this post :-). Have you read Pablo Neruda's Ode to The Lemon? I think you'll like it! 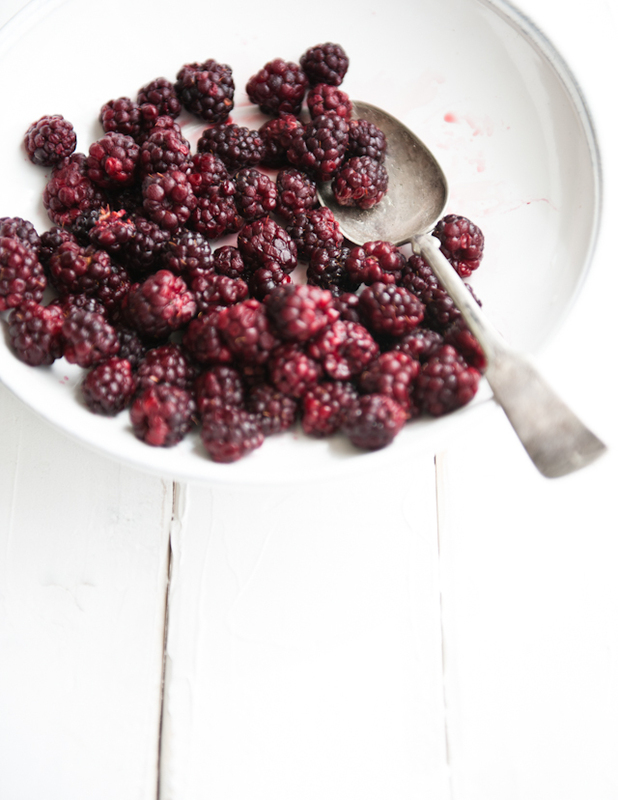 How I miss summer fruits! Living in the tropics definitely has its advantages in terms of pineapples, papayas and mangoes, but I do miss a juicy ripe peach and sweet fleshy plum. 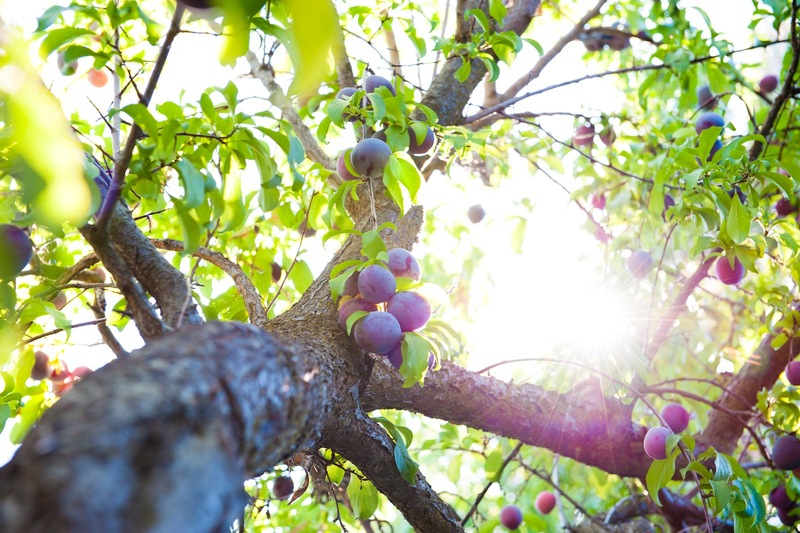 There is a *pretty* good chance your cobbler "waved" at me like those plums on the tree in the Haas poem. The colors and textures here are so inviting and what can I say, I'm a sucker for the associations and dance between food and poetry. Ohhhh... thank you for sharing this one!